“Once again, we will have to endure”. This is what the first secretary of the Communist Party, Raúl Castro, has said. HABANA Cuba (El País).- In addition to the island’s always delicate economic situation, there is now the US siege of Venezuela, its main ally, and the intensification of the embargo against Cuba, a “turbulent scenario” which, in the words of Raúl Castro, means that the country must prepare itself “for the worst variant”. However, trying to reassure the population by warning that “it is not a question of returning to the acute phase of the Special Period,” the crisis caused by the disintegration of the socialist camp at the beginning of the nineties, when the GDP fell 35% in three years and the blackouts reached 12 hours a day, a memory that still provokes fear in several generations of Cubans. The mere mention of that time freezes the blood of many Cubans, who still remember the hard years of the blackouts and the savage crisis, when the country was practically paralyzed and the citizens lost 70% of their purchasing power. For months now, markets across the island have been feeling a shortage of basic products such as flour, eggs, chicken, oil and some medicines, which has led to queues, fights among people and measures to avoid hoarding, including the controlled sale of deficit products – lately, when you take out chicken in a store, only two are sold per person. Also, occasionally, the supply of gasoline has been lost for a few days and there have been isolated blackouts, which together with the news coming from Venezuela – Cuba’s first commercial partner and where 50% of the country’s oil comes from, at a preferential price – has resurrected the ghost of the Special Period. Castro and Diaz-Canel have been very careful in explaining that the bad moment that is coming with the crisis of three decades ago has nothing to do with it, because today’s economy is much more diversified. However, Venezuela’s dependence is great, although much less than that which existed with the former USSR and the socialist camp – with whom the island carried out 85% of its commercial exchanges. Even so, if Nicolás Maduro’s government were to fall, the impact on the Cuban economy would be considerable – since economists estimate that Cuba’s GDP could fall by 10%. U.S. pressures to scare off foreign entrepreneurs and major banks that do not operate with Cuba are a reality. This is confirmed by the Board of Directors of the Association of Spanish Entrepreneurs in Cuba, which brings together 260 firms with businesses and investments on the island. “There are companies that have received notifications from Florida entities in which they warn that if there were political changes in Cuba, measures would be taken against those who do business with the island today,” says one of its members. 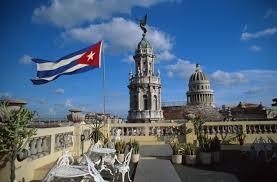 The fence on financial transactions with Cuba has also increased. To the already harsh sanctions and fines applied by the U.S. to banks that operate with the island, is added the pressure to the international financial system against operations involving Cuban entities. This situation affects companies of all nationalities and sectors such as Nestlé, or international organisations such as the United Nations Development Programme (UNDP), which are finding it increasingly difficult to carry out their transactions, many of them hotels managed by Spanish companies – which the US penalises. Last week new sanctions were announced against shipping companies, some of them European, whose ships have been transporting Venezuelan crude oil to Cuba in recent months. 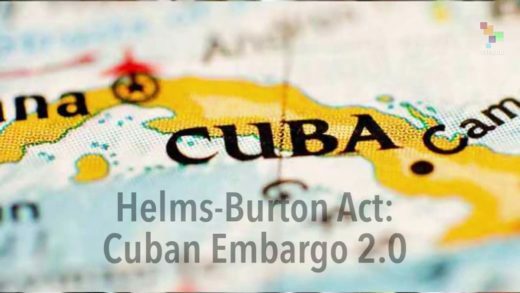 The threat of the application of Title III of the Helms-Burton Act, which would allow U.S. and Cuban-American citizens to file lawsuits in U.S. courts against foreign companies that “traffic” in property expropriated in Cuba after 1959, is yet another twist. 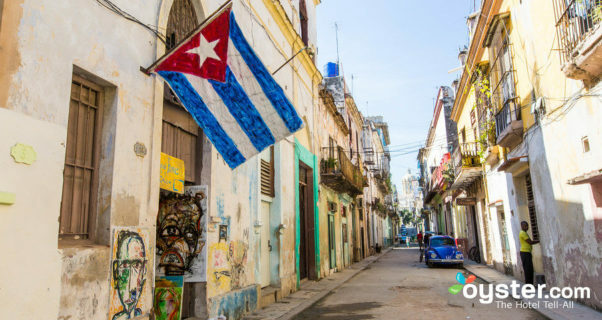 “The objective is clear: to generate fear and discourage foreign investment when Cuba needs it most,” says the EU ambassador in Cuba, Alberto Navarro, who has already said that Brussels has antidote laws against Helms-Burton and will defend the interests of European companies. In addition to the lack of liquidity and the chronic tensions of the Cuban economy, which for some time has been stagnant or with very low growth rates -0.5% in 2016, 1.6% in 2017 and 1.2% last year, several economists estimate that growth of between 5% and 6% per year is needed to reactivate the economy-, there is the instability of Venezuela, its first commercial partner. With Chávez, Venezuela accounted for 44% of the total volume of the island’s foreign trade. Caracas bought the services of Cuban professionals – doctors, nurses, teachers, trainers – for 5,000 million dollars, 40,000 collaborators worked in the South American country and the rest of the world.